Stazione Sperimentale del Vetro is certified by ACCREDIA as a Testing Laboratory in compliance with the UNI CEI EN ISO/IEC 17025 quality standard (see Accreditation Certificate and List of Accredited Tests for the two sites in Murano and Marghera). Accreditation guarantees international validity and credibility to the certifications issued by SSV, thanks to the participation of ACCREDIA in the mutual recognition agreements between foreign accreditation bodies that are members of EA/IAF-ILAC (MLA agreements). Since 1983, Stazione Sperimentale del Vetro has been included by the Italian Ministry of Research and University (MIUR) among of the Highly Qualified Research Centres for Applied Research, in accordance with Law 46 of 17 February 1982 (see Register, at progressive number 103). Stazione Sperimentale del Vetro is accredited by the French Ministry of Research as a Public research institute (see list on the Ministry website, row 545). The research and development activities carried out by SSV on behalf of companies having tax residence in France are therefore eligible for tax benefits (Crédit d’Impôt Recherche, CIR) under the provisions of Article 244 quater B of the Code Général des Impôts. Stazione Sperimentale del Vetro is authorized by the Italian Government to operate as a testing laboratory for the application of European Directive CPR 305/11 for glass products for construction – Notified under No. 1694 at the European Commission. 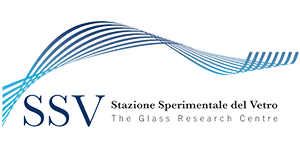 Stazione Sperimentale del Vetro is an inspection body and testing laboratory for the use of the UNI Trademark for glass for building applications (insulating glass, toughened and laminated glass). Stazione Sperimentale del Vetro participates to the main National and European technical committees dealing with the drafting of new regulations and standards in the sectors of flat glass and glass containers.